Besides making life easier and more secure at home, smart automation and security devices can also be used to help keep tabs on your kids. There are many parents, both single and married, that have to work full-time jobs and can’t always be home at the same time their kids are home, especially after school. Nowadays, many parents rely on using text messages or phone calls to know whether or not their kids made it home safely, but even these methods aren’t that reliable since kids can be very forgetful. I experienced this first hand when I helped raise my niece during her high school years. In fact, if had a nickel every time she forgot to text me and my sister when she got home from school, I would be a very rich man. It was extremely frustrating, having to constantly call her and hope that she would even answer her phone. But as the saying goes, kids will be kids, and I absolutely blame my niece for the amount of grey hairs on my head. But luckily, there are home automation and security devices that can give parents peace of mind knowing that their children are home safe. Below are several smart home products that can not only make life easier at home, but also provide an additional way to help keep tabs on your kids. Smart Door Locks: Other than providing the ability to lock or unlock your doors remotely, smart door locks offer a keyless entry system for homes using personal user codes. Most smart door locks provide unique codes that can be created for each family member and can be monitored and tracked via a mobile app. This means that while you’re at work, you can receive an alert on your smartphone as soon as your kids unlock the front door. You can also receive alerts whenever your door locks or unlocks, which can be another way to monitor your kids if they left the house without notifying you. Nucleus Anywhere Intercom: Once your kids have made it home safely you can always plan a daily face-to-face talk with them using the Nucleus Anywhere Intercom. This device connects to the Internet via WiFi/Ethernet and allows users to have instant video or audio conversations with other households that have a Nucleus Intercom unit. It also comes with a Nucleus mobile app that you can use on your smartphone. This will allow you to have daily video chats with your kids after school, say during your afternoon 10 minute break. And if you can’t make the video call, you can always have another family member with a Nucleus device contact them. Indoor IP Cameras: Indoor IP cameras are great for home security because they’re typically small enough to be hidden in small areas of your home where they can go unnoticed. Many of them provide great features such as high quality 720p/1080p HD video, a wide field of view, motion detection, and a mobile app. By installing IP cameras in various rooms of your home, you can receive alerts on your smartphone via the mobile app whenever the camera senses movement. In this case, when your kids enter your home. You’ll be able to watch a live feed right on your phone and see that your kids made it home safely. Home Intercom Systems: Communicating with your kids at home can be a very loud experience since you’re not always going to be in the same room at the same time. Intercom systems can help simplify life at home for the entire family since they can improve communication between rooms and eliminate the need for yelling. I wish we had an intercom system in my house when I grew up. My mother was really loud, especially when she was yelling at me and my sisters to come eat dinner. If we had an intercom system at the time, all she needed to do was press a button to notify us instead of losing her voice every night. Door/Window Sensors: I’m willing to bet that there are a lot of families with stories about their kids sneaking out of their homes through a window. My sister did it all the time and got away with it until she broke the windowsill one night. She ended up being grounded for month, and if my parents knew about door/window sensors at the time, I bet my sister would have done her homework more often. Door/Window Sensors typically consists of two components (sensor and magnet). The sensor mounts on the door/window itself, and the magnet mounts on the frame. When the two are separated, the sensor sends an alarm signal to your security control panel. Plus, if the sensor is tampered with, an alarm signal will also be triggered. Raising a family is a tough job and trying to keep tabs on your kids on daily basis is one of the major reasons why it’s hard being a parent. But thanks to home automation, you’ll have more ways to check on your kids and communicate with them at home, even when you’re not there. If you would like to keep better tabs on your kids using smart home devices, we can certainly help. Just call us toll-free at 800-266-8765 (7:30 a.m. to 4:30 p.m. Pacific, Monday – Friday) for free tech support and product advice. You can also email us at service@homecontrols.com or visit www.homecontrols.com. That sounds like an sales pitch I can use when I talk to a new smart home customer. 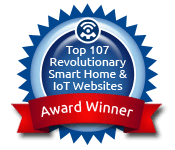 Our company AVITHA has been installing smart home systems all around UK.